Android Wear 2.0, the new version of Google’s smartwatch operating system software, will launch in early February. An email has been sent to app developers on the Google Play Store that confirms the upcoming release of the software, as well as encouraging them to ensure their apps are up-to-date for the launch. Google news site Android Police has published the email, which focuses on apps being able to work in standalone mode – that is, independent of a connection to a smartphone. This feature is one of the key components of Wear 2.0, which Google first announced during its developer conference last year. The update will also feature a dedicated Play Store for Android smartwatches, so users can download apps without needing to do it via a smartphone. The launch of Android Wear 2.0 was originally scheduled for the autumn, but it was pushed back as issues that arose within some preview builds were ironed out. Google also confirmed to The Verge late last year that the company is planning to introduce two new smartwatches alongside Wear 2.0 as the first devices to run the new software, though little is known about who is making the devices or indeed when they could make their debut. 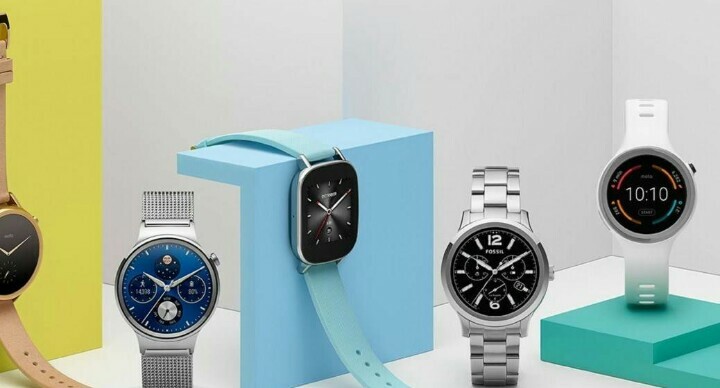 Google is looking to step-up its smartwatch presence following a high-profile end to the year for rival Apple, which introduced the second-generation Apple Watch to positive critical response. However, analysts reported a steep decline in Apple Watch sales at the end of 2016, potentially down to an apparent shrink in demand for wearable products – an issue Google will do well to navigate if and when it does announce new hardware of its own.